Your job is getting better. Our job is everything else. An unexpected injury caused by the negligence of another can change everything. The pressures of life become amplified when you are forced to miss work, pay hefty medical bills, fight insurance battles, and bear the pain of surgery and rehabilitation. Your family may be struggling under the burdens created by the accident, and worst of all, you don’t know whom to turn to for help. At the Washington law firm of McMenamin & McMenamin, PS, we care about your injury—and your life. Our experienced personal injury attorneys are dedicated to helping you get back to normal—physically, emotionally, and financially. We deal with insurance companies, coordinate your medical treatment, and obtain a fair settlement or take your case to trial. We make sure the only thing you focus on is your recovery. Turning to McMenamin & McMenamin, PS gives your case access to the resources of a firm 100 percent dedicated to personal injury law, along with a team that’s committed to a successful resolution of your claim. Trust a firm that your neighbors trust. McMenamin & McMenamin, PS attorneys will be open, honest, and straightforward with you throughout the entire process. We will take care to listen to your individual needs through this tough time, and strive to provide relief. If you’ve been injured in an accident in northwest Washington, don’t continue to suffer alone. Reach out to the attorneys at McMenamin & McMenamin, PS, today for help. The initial consultation is free and there is no fee unless your case is successfully resolved. If you or a loved one have been injured in car accident in northwest Washington, the life you once knew as normal may seem just out of reach. The physical and psychological pains you are experiencing may be compounded by financial disarray, as medical bills, auto repair costs, and time away from work quickly drain your sense of security. You may be wondering how you’ll make ends meet, both in the near future and long-term. What’s more, you aren’t sure what steps you can take to improve your situation. At McMenamin & McMenamin, PS, we understand the difficulties you and your family face after a car crash injury. That’s why our team of experienced auto accident lawyers is dedicated to serving those in need of help after such an incident. We work with you to fight for the compensation you need. First and foremost, our attorneys will do our best to answer and address any questions or concerns you may have. Next, we will analyze each and every detail of your case, carefully guiding you through the legal process so that you may find the peace of mind you need. Then, we will discuss all available legal options with you, and decide together on what course is best for you and your family. If you have been hurt in a car accident injury in Washington, don’t wait to seek the compensation you deserve. Contact one of our three office locations today. Let our team help you and your family begin on the path to healing and recovery. The unexpected loss of a loved one is, quite honestly, one of the most difficult challenges you will ever face. As you grieve, the complications that have arisen from his or her absence leave you with burdens you never knew you’d have to face. Along with the emotional impact the loss has taken on you and your family, the financial implications seem almost too much to bear—especially if your loved one provided the main source of income for your family. While no one can fully comprehend the grief you feel after your loss, the wrongful death attorneys at McMenamin & McMenamin, PS do empathize with your situation. While every loss brings its own challenges and unique circumstances, we have helped many individuals in Port Angeles, Sequim, Port Townsend, Forks, and the surrounding communities seek compensation for their loss—compensation they need and deserve. If you have lost a loved one due to the negligent actions of another, be it in a car crash or some other type of accident, do not try to face this uphill battle alone. Reach out to the wrongful death lawyers at McMenamin & McMenamin, PS today for a helping hand. We will take the time to listen to you, fully understand the challenges you are facing, and provide guidance you can trust during this difficult time. Life sometimes takes unexpected turns. Don’t allow an injury—especially one caused by the negligent actions of another—to drain your sense of financial security. Reach out to McMenamin & McMenamin, PS today to talk with an experienced personal injury attorney about your legal options. We will work with you to decide what choice is best for you and your family, both now and in the future. Don’t continue to suffer as medical bills, time away from work, and rehabilitation costs become insurmountable burdens. You deserve piece of mind after your injury, so you can focus on what’s most important for right now—healing. 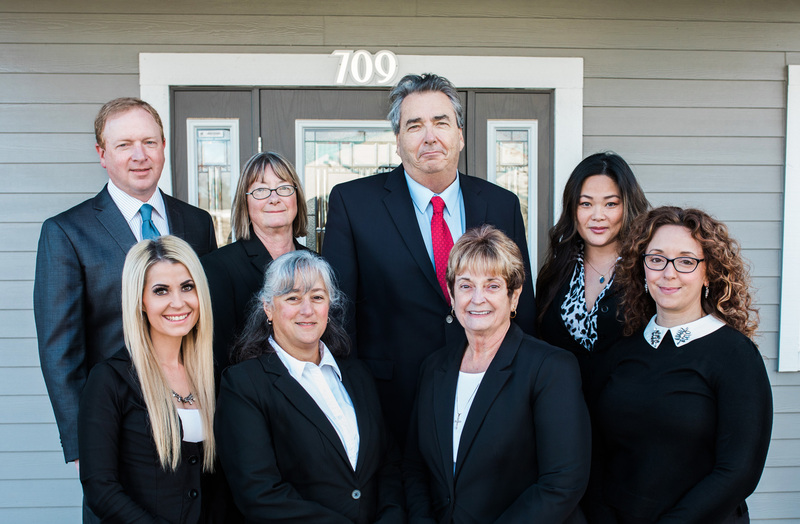 Call our Port Angeles, Sequim, or Port Townsend office to speak with a member of our team, or request a free initial consultation by filling out the form at the top of this page. 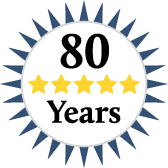 Our firm is fully dedicated to serving people who have been injured by the negligent actions of another, with over 80 years of combined experience helping individuals throughout this region. We have aided those hurt in car accidents, trip and fall (slip and fall) accidents, construction site accidents, dangerous or defective product accidents, dog bite cases, and more. Contact the experienced Washington personal injury attorneys at McMenamin & McMenamin, PS today. We promise to be accessible, honest, and accountable, delivering the service and attention people in northwest Washington have come to expect from our firm.